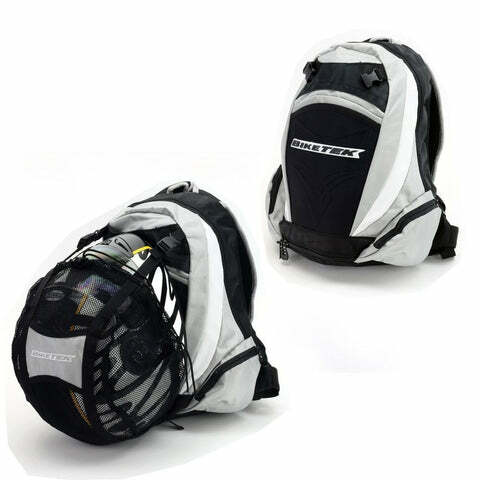 Whether your a serious Tourer, Sportbike rider or just a commuter rider, a rucksack is one of the most useful accessories you can own, with the minimal or non-existent storage on board motorcycles. 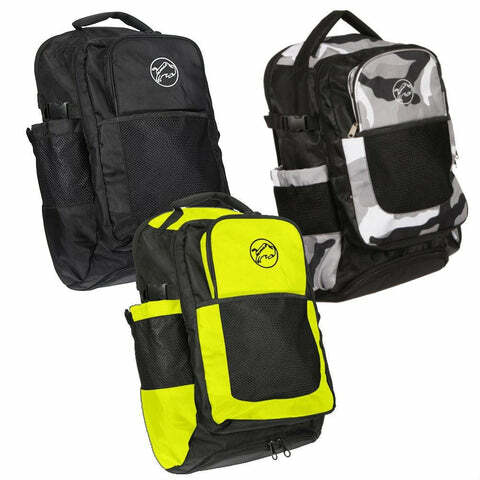 Motorcycle rucksacks and waist bags boast features such as expandable compartments, weatherproof zips, reflective fabrics and elasticated netting. Being bikers ourselves here at LDMotorcycles.co.uk we know what it's like when you're heading out on the bike with some luggage but nowhere to keep it. Cargo nets and pannier bags are great options but don't offer much security for your luggage when you park the bike up, plus they don't help the aesthetics of our bikes much. Motorcycle rucksacks are our favourite way of carrying luggage on the bike whether it's a change of clothes, a laptop, or a spare helmet. 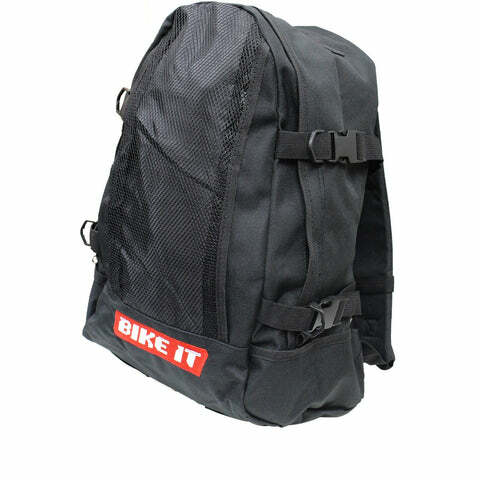 They aren't just useful for on the bike but unlike most other options you can carry a rucksack anywhere off the bike without the worry of leaving it unattended on your bike. From the outside most rucksacks look the same whether they're for mountain trekking or motorcycle riding and the only way to easily tell is to check for a logo. But although they look the same there are some major differences when it comes to building a reliable motorbike rucksack that will stand the test of time, believe us we've been there. Materials - Like everything to do with motorbikes the rucksacks have to be more durable and take more punishment than your classic backpack. From getting battered by the wind, and thrown around the garage, to getting soaking wet on a regular (if you're a British biker). Which is why all specialist motorbike rucksacks are manufactured using durable, tear resistant textiles that can stand the abuse without failing and dropping your laptop on the motorway. Zips - Just like the material used, the zips on biker backpacks need to be more than your usual rain jacket zipper. They should always be a metal zip with most brands using the trusted YKK zips to give that extra reassurance. As bikers we're always pushing things to the limit including how much we can fit into a small rucksack so no normal zip will do especially under the extra stress. 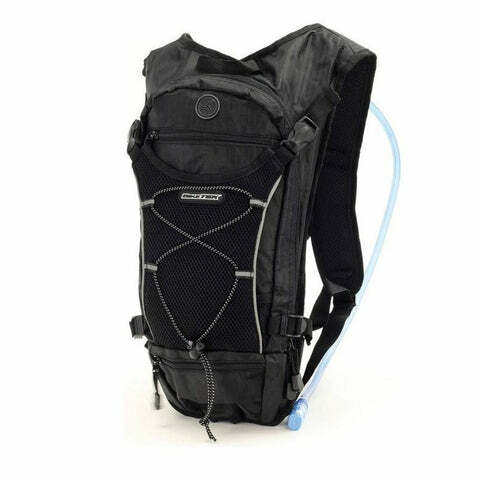 Features - You wouldn't expect any normal backpack to include a USB charger pack, a helmet carrier net and a hydration pack would you? But with motorbike rucksacks you can always expect to see some smart features that make carrying your cargo that bit easier. As an extra you'll sometimes see semi-hard shells inserted into the bag liner to give that extra bit of protection to your luggage if you did take a fall for any reason. There a couple of things to consider when looking at buying a new rucksack for your riding. First off you need to think about how much space you'll need and what type of luggage you carry, most biker rucksacks will have their internal space measured in litres. Also, you'll need to think about the kind of weather you ride in. If you're a daily commuter by bike then you'd obviously want a waterproof bag or even a rucksack that includes a waterproof cover for those wet days. Lastly, what will you be carrying on your ride? A lot of motorbike rucksacks now come with dedicated laptop and tablet sleeves inside which are padded and secured with a strap to give that extra bit of protection to your fragile luggage. These are obvious but important things that you need to keep in mind before you splash out on a new rucksack. At LDMotorcycles.co.uk we offer a small but specialist range of motorcycle backpacks that includes some of the best options available on the market based on price, quality, and style.